This entry was posted in Physical Therapy & Fitness, Uncategorized and tagged Anderson, arkansas, Bolivar, Carthage, circulation, Exercise, Goodman, Gravette, Health System, healthcare, hospital, Jay, Legs, Marshfield, Medicaid, Medicare, missouri, Mt. 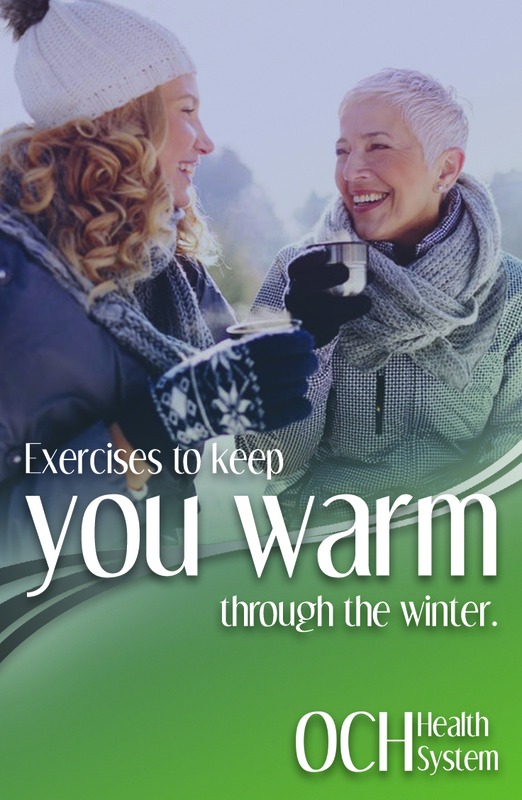 Vernon, Nixa, Noel, OCH Health System, Oklahoma, Ozarks, ozarks community hospital, Physical therapy, Pineville, Rogersville, Southwest City, Sparta, springfield, Therapy, Warm, Webb City, Winter. Bookmark the permalink.